Here is a new video in the NO Equipment Series. Today it No Equipment Legs Workout. You can do som of these just sitting infront of the TV, literally! All you need is your energy and some space. How to use this video? Pick 5 of the workouts in the video, repeat each move 10 to 15 times, then do 3 sets of all. In this video, I share 20 Arm workouts that will help your arms stay strong and toned. You can do those workouts ANYTIME and ANYWHERE. How can you put those workouts into use? Pick 5 of the workouts, repeat each move 10-15 time, then do 3 sets of all. Share with me if you do any of those workouts. let me know if you have any questions or request specific workout videos. No races = no motivation??? I confess that my motivation levels spiked immediately after I hit the ‘Pay’ button after registering for a race. It makes perfect sense, because races gives me reason to wake up at 4 in the morning, or keep on going late into the night. Races are slowly turning into “exam days” to me; it is the time to prove that all of my training ie “revisions” are worth it. It made me realise that what I felt was actually the joy of competing, not running. There must be a bigger, better reason for me to keep on running, even when I am not preparing for a race. 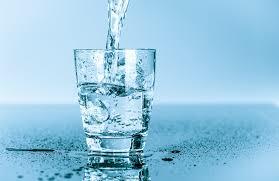 I drink lots of plain water everyday. I drink 3 to 4L per day. Reduce or better cut off your high sugar drinks such as soft drinks, carbonated drinks, etc because it will increase your calories intake. I take oats once per day, either for my breakfast or for my dinner. 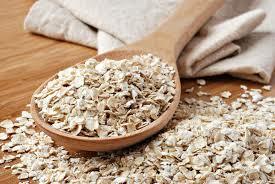 Oats are high in fibers, which is very good for your digestion, and you will feel full faster and last long. I take a large portion of vegetables in my meal. 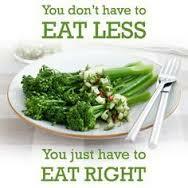 For those who plan to reduce their weight, reduce your carb portion and replace it with veggies. 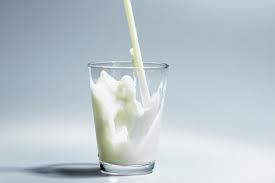 I have a glass of milk for my breakfast and before going for sleep. My favourite one is Anlene chocolate as it is high in calcium and…yummeh! You can have any brand of milk that you like, and if you are lactose intolerance, you can have soy milk. My favourite one is V-soy…you can try it guys! I don’t take junk food as it is high in salt and seasoning. I like fast food too but I don’t take it regularly. I spend at least 30 minutes per day for a run. I walk to hospital and class every day. For those who are very busy, you can walk to your office from the carpark (park your car far away from your office then). And use stairs instead of lift, you will burn more calories. Be happy, have confidence and give your biggest smile to everyone. Spread the positive vibes and be a happy you! Last but not least, don’t take heavy meal 4 hours before sleep. Because our gastrointestinal system starts to slow down to digest food when we are going to sleep. You may develop reflux or delay gastric emptying if you take late meal. 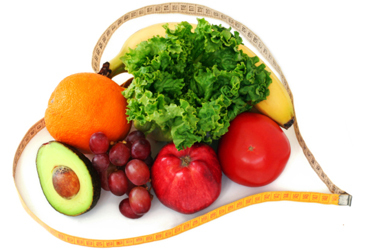 This will lead you to have poor metabolic rate, thus it’s easier to gain weight faster. 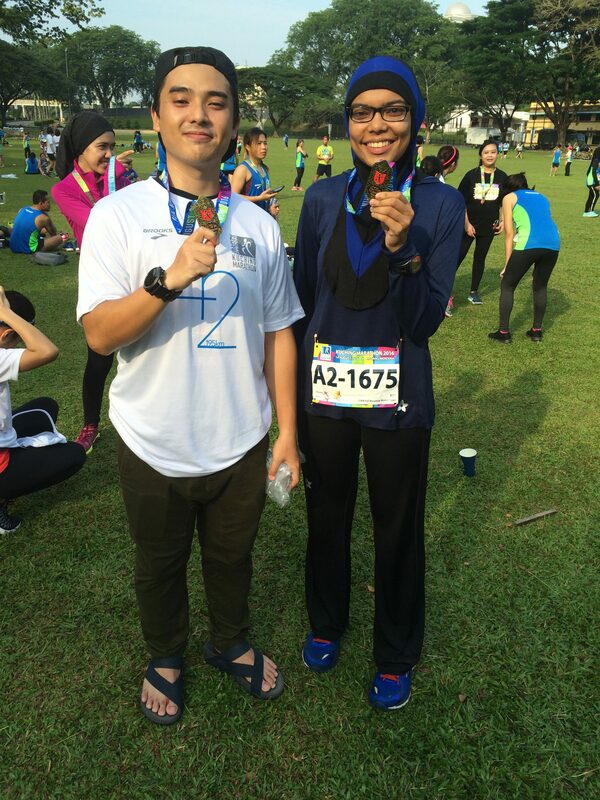 Yesterday, I ran the Kuching Marathon for the second time. It is one of my favourite homeground running events that I never miss. At the REPC..Looking very excited to run! 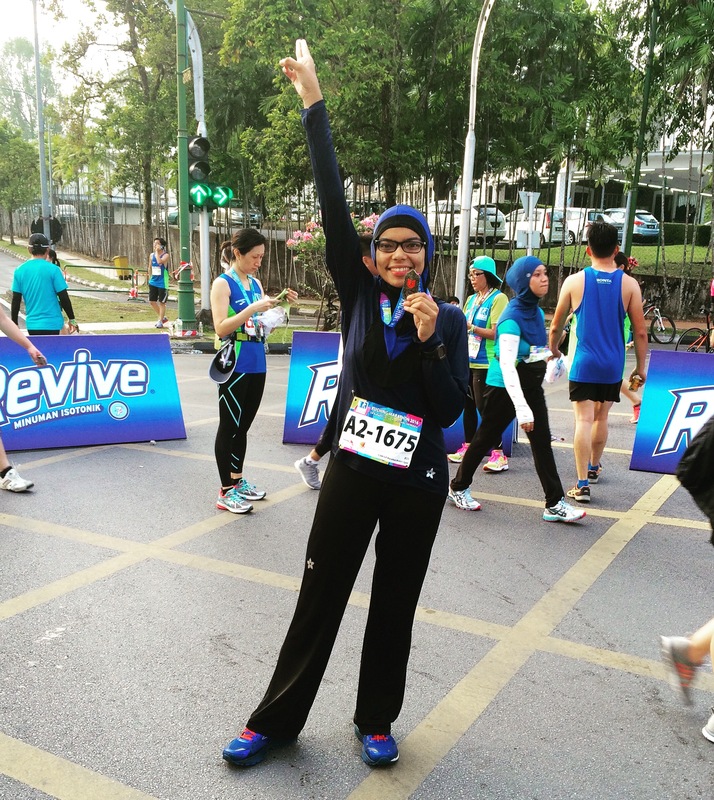 What’s exciting about the run was that I did a back to back full marathon (FM). 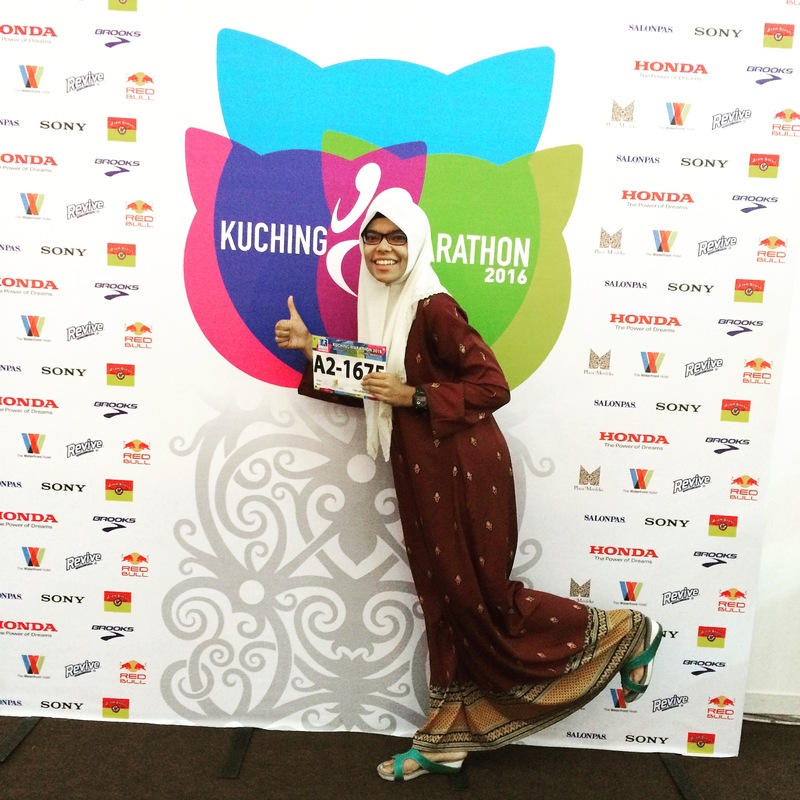 A week before, I ran a full marathon (42.195km) at the Standard Charted Kuala Lumpur Marathon better known as SCKLM. 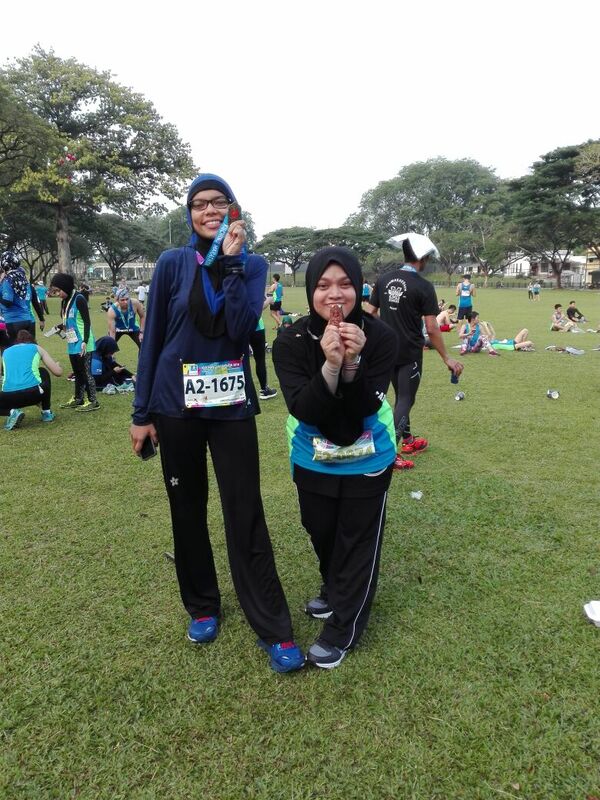 My goal was to finish BOTH marathons without injury and I did it! Hoyeahh! Hoyeahh! I finished strong after back to back FM. 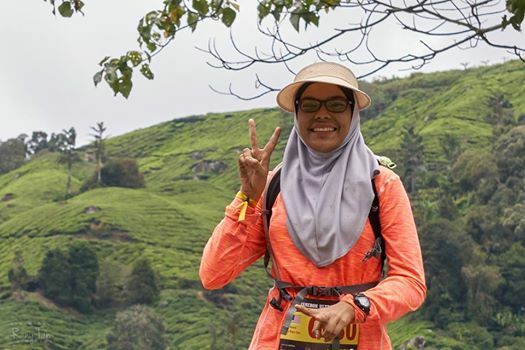 After coming back from SCKLM, I was very busy attending classes and lectures. Honestly, a week before the Kuching Marathon I didn’t run much, only carbo-loading and hydrating myself well. 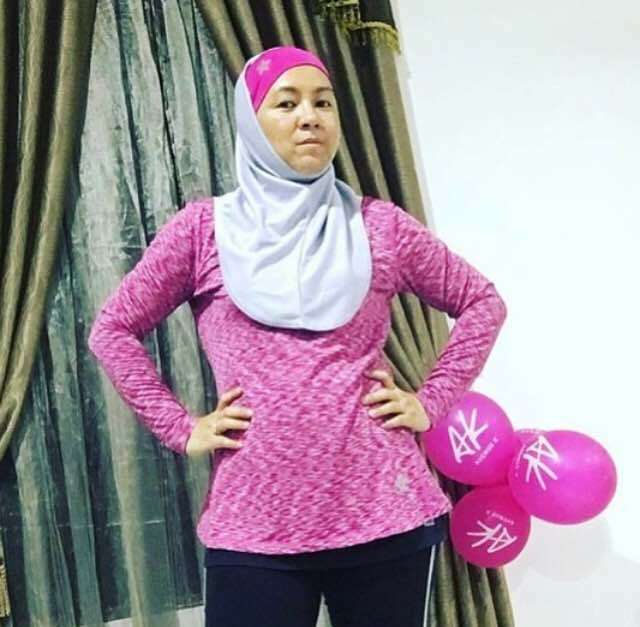 I believed that all I needed was a good rest and to continue loading myself with carbs since there was only a week gap before the Kuching Marathon. I couldn’t wait to arrive at the finish line,..but before that let’s take a pic first! It was almost time to flag off,..and everybody was soo excited! 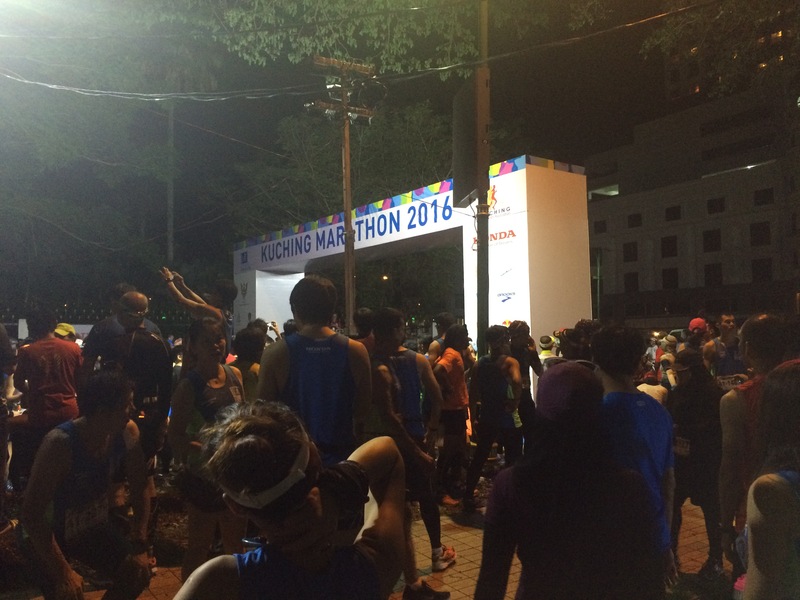 The full marathon flagged off at 2am. I liked it early because first – no sunburn and second – the weather would not be not that hot. I was hoping to finish the run before 8 am. Yayy! 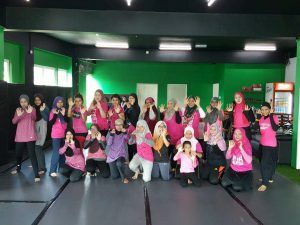 Aina was back hometown for this event! 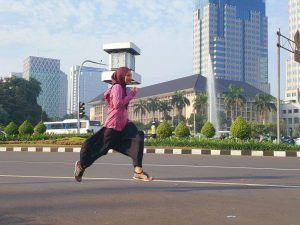 Run Aina run! The route was almost flat with some not-so-hilly, and long, never ending road. 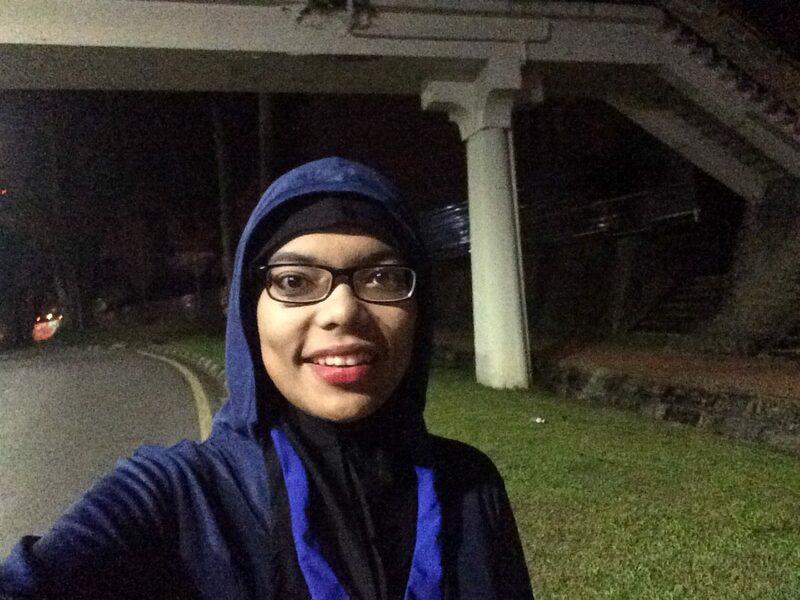 I started my first 10 km with paces ranging from 5.30 to 6.30 min per km and the timing for first 10 km was 59 min. For the next 11 km, my average pace dropped to 7 to 8.30 min per km, hence my timing was 2 hr 21 min for the first 21 km. Oh ya, I did spend 6-8 minutes for toilet stop at the Shell petrol station nearby. Hmm, how I wished that I didn’t stop. 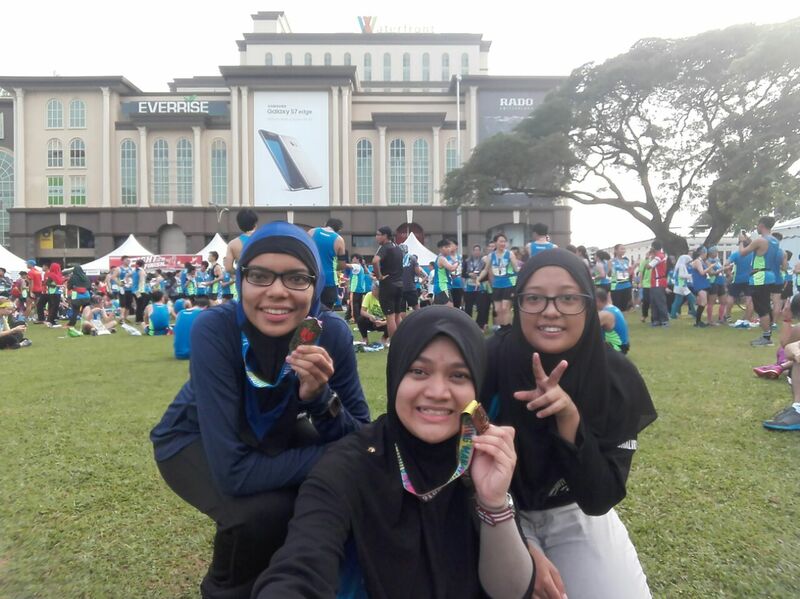 It was cold and humid, and was sure most of the runners performed best at their first 21 km. I then continued running until km 32. It was already 5.50 am and I stopped at the Petronas Petrol Station nearby for about 7-8 min to perform Fajr prayer. By the time I started running back, it was already 6 am. If I really wanted go for sub 5, I only had about one hour left for my last 10 km. However, sub 1 for my last 10 km was probably impossible. 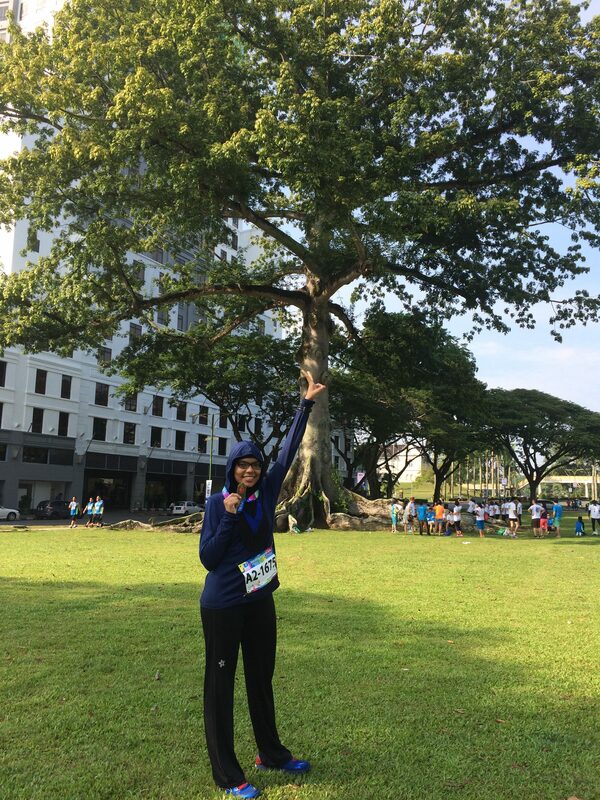 I remained positive and changed my target to sub 5 hr 15 min, 1 min earlier from my timing at SCKLM – 5hr 16min. 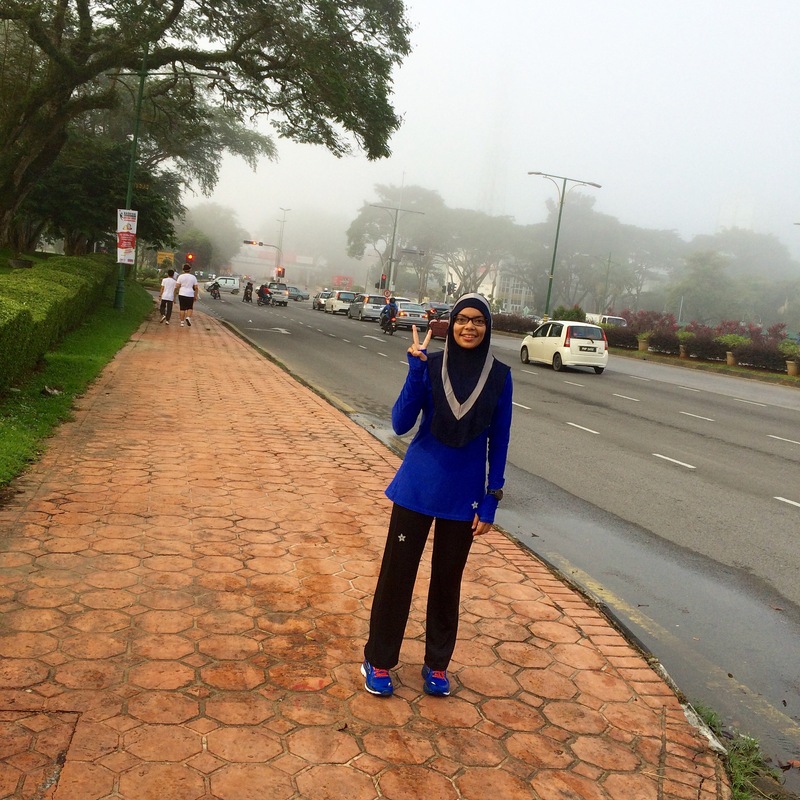 My last 5 km was really tough, as I was fighting with myself to complete within my target. I no longer ran with my legs, I ran with heart. I kept running, no matter how slow it was, at least I kept moving. 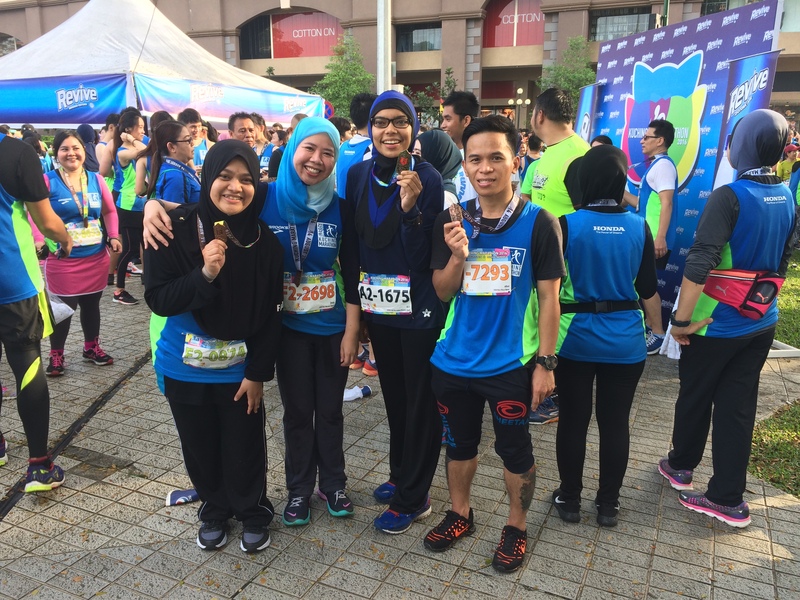 I kept my pace within 9 to 10.30 km/min, and at that time, I could no longer feel my leg. All I could feel was my socks soaking in sweat, my big toes felt like being pressed, this and that…my only wish was that I could just walk. Towards the finish line, there were a few cheering squats who kept entertaining the runners. I ran even faster towards my last 500 m., and yet that 500 m felt like 500 km. Arghh! 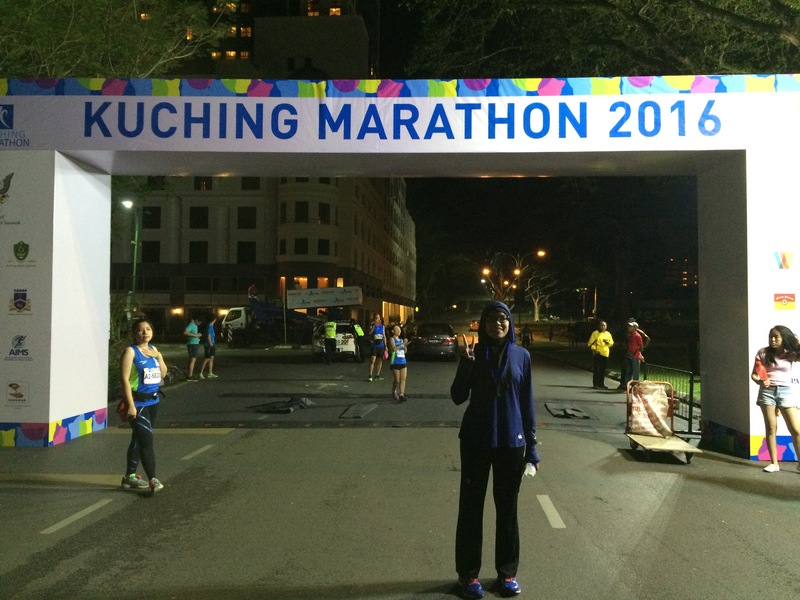 Finally, I finished my 10th Full Marathon strong at the Kuching Marathon in 5 hours 9 min. 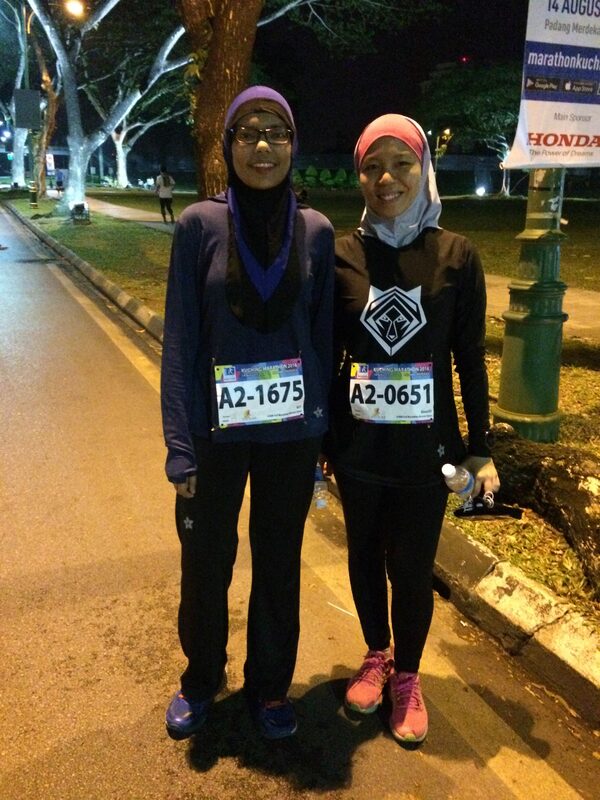 *drum rolls*.. Yayy, mission sub 5hr 15min accomplished and 7 minutes earlier from FM SCKLM. 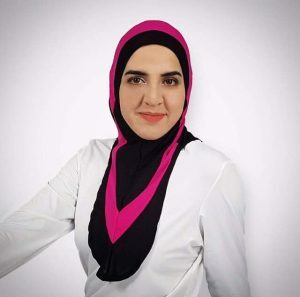 Alhamdullilah. Overall, the traffic was well controlled and organised. However, the water stations had limited supply of plain water and isotonic drink. Runners had to queue up and share cups to drink, to our inconvenience. My take home message is to bring small bottle at my next run. Should the organiser fail to provide enough water throughout the run, at least I have my own. 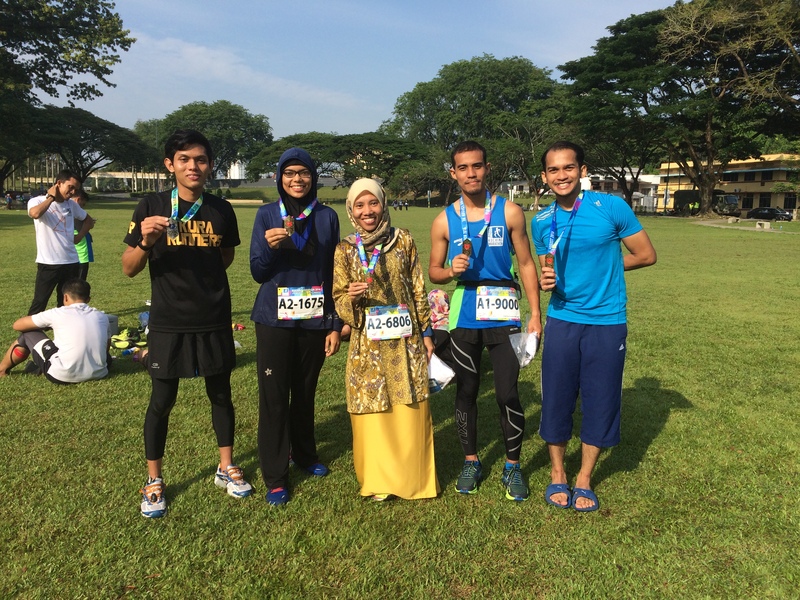 Congrats Khairul (in black shirt) for doing his personal best for his HM. And others, congrats guys for finishing strong. This superman did a back to back too,..with an awesome timing ,..sub 4.30..congrats Mambo! We continued bragging,..because the suffer is astounding! Before the moment ended, we celebrated our victory with…..tadaaa! 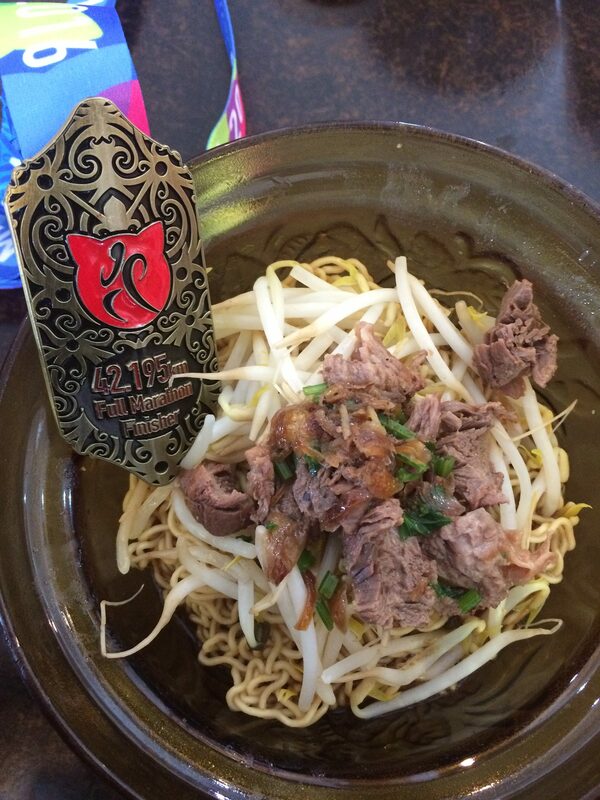 Mee Kolok with FM finisher medal add-on! Keep running and be inspired! If you’ve ever started a fitness routine and quit, you are not alone. Many people have no problem beginning a routine; they feel motivated, excited and ready to tackle anything. 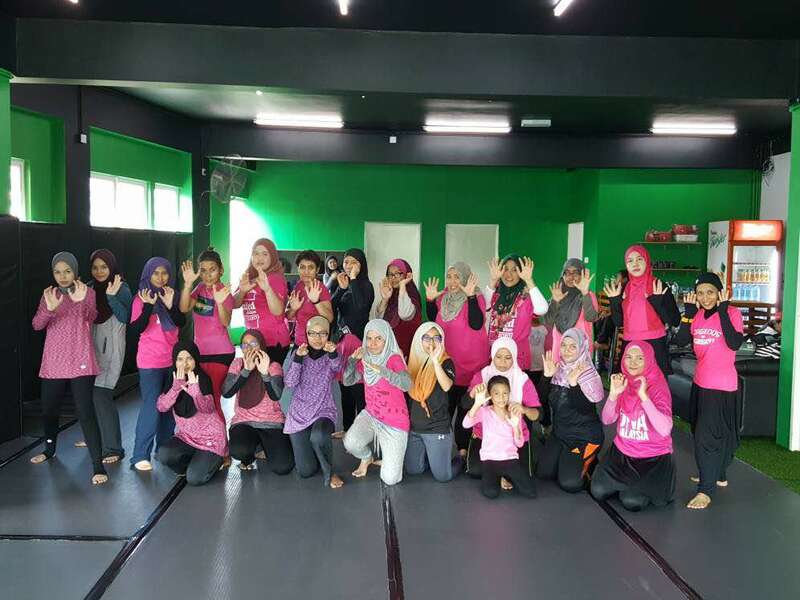 But the hard part is keeping that motivation up and continuing on in their fitness journeys for the long term. Trust me, even those who seem to love the gym life have trouble staying motivated all the time. 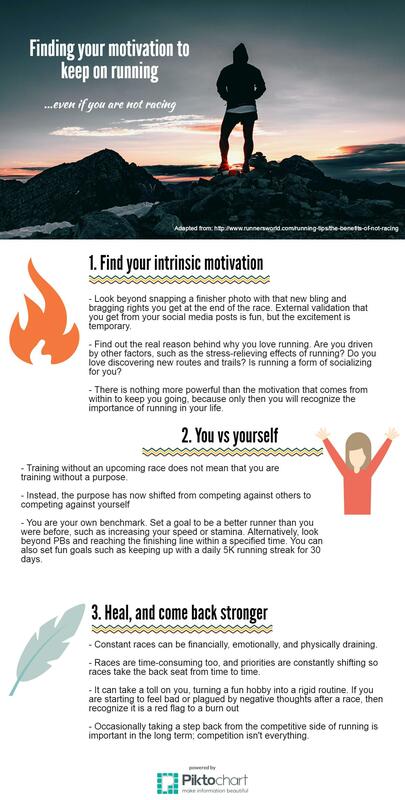 Here are some ways you can keep your motivation up and actually stick to a routine. Setting specific goals in this way will really make it about so much more than the number on the scale or the way you look. If your goals are meaningful and close to your heart you are more likely to reach them. The key is to make exercise a habit, rather than something that you simply ‘should do.’ You want to think of exercise as a normal part of your day, like going to work or taking a shower. One way to do this is by scheduling a regular workout time. If you workout around the same days and time each week it will start to become a part of your everyday routine. Sit down each week and plan your workouts to fit into your schedule. If you say to yourself “I’ll try to get my workout in after before dinner time” but have no set plan or time, you’re more likely to let excuses get in the way of fulfilling that workout. But, if it’s written down in your calendar you are more likely to stick to it. 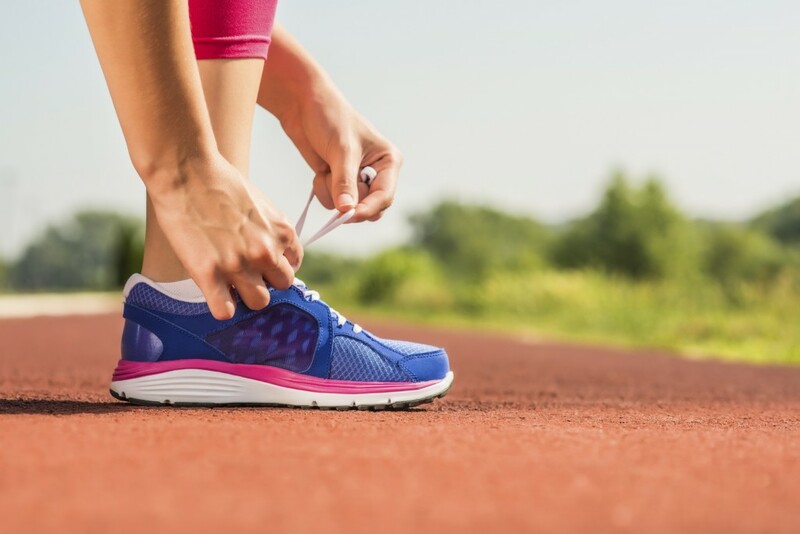 Although there are numerous benefits to regular exercise, it’s still no easy task. If you do not enjoy the workout you are doing it will be nearly impossible to stick with it. Don’t just do a workout because you think it will burn the most calories or make you sweat more. There are countless different types of workouts to choose from that you’re bound to find something you enjoy. If you’re a very outdoorsy person and nature lover, you might enjoy walking, jogging, hiking or biking. 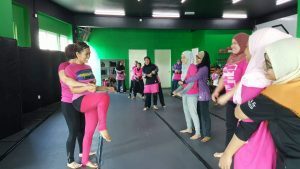 If you’re social and get really motivated by others, group fitness classes might be best for you. If you like to feel powerful then try picking up some heavy weights. Variety is also important. It’s not only easy to get bored with the same routine day after day, but our bodies adapt rather quickly and need change to avoid a plateau. Mix it up throughout the week. It’s important to get a combination of both strength training and cardiovascular exercise. While it’s important not to compare yourself to others, it can really help to have a little inspiration. Find someone who really inspires you, not just because they may be in shape but because they share your values, beliefs and concerns. Maybe they have an inspiring story that teaches you that you can accomplish anything. Inspiration doesn’t just have to come from people. 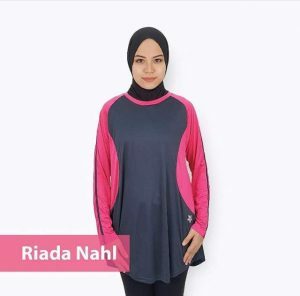 Other things that can be really motivational, especially during the times when you don’t feel like working out are quotes, motivational talks, or simply just putting on your workout clothes and starting your warm up to get in the groove. Accountability can be huge in keeping you motivated. 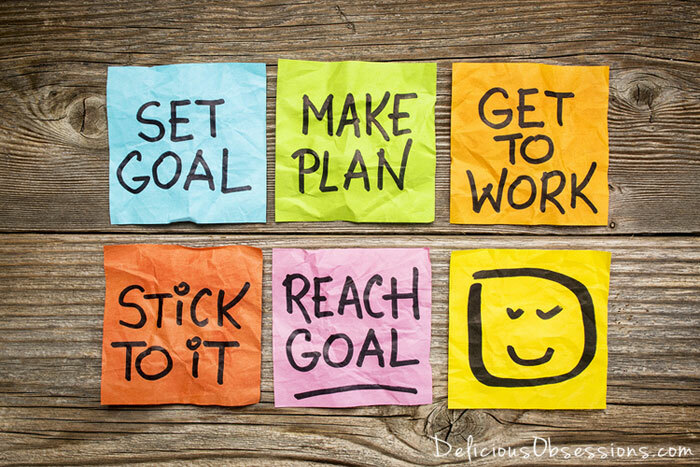 Tell your close friends and family about your goals and what you will be doing to reach them. Ask them for their support. Next time you go out to dinner with those friends or have family over for brunch, you will be more aware about making good food choices because they are now watching you. If you enjoy writing or keeping up with social media you might even start a blog or Instagram page showcasing your journey. Not only can you update your followers about your progress but you will find a lot of support which can be super helpful. 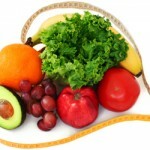 Another option is to begin working with a professional, whether a nutritionist, personal trainer, wellness coach, etc. It can help to have a professional to design you a plan and help you track your progress. The fact that you would have to spend money on a professional is also a good form of accountability. So stop telling yourself that you can’t and start telling yourself that you CAN! 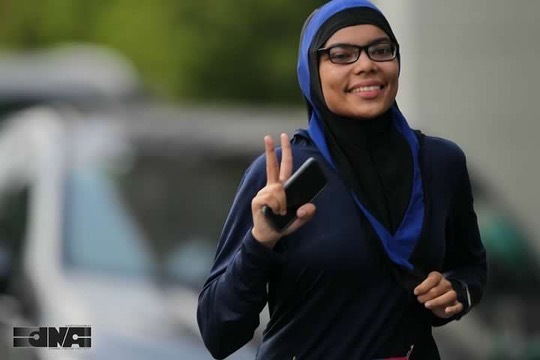 With some hard work, strong goals, and a little motivation you can start and keep a fitness routine, and it will be one of the best things you can do for yourself, inshallah. 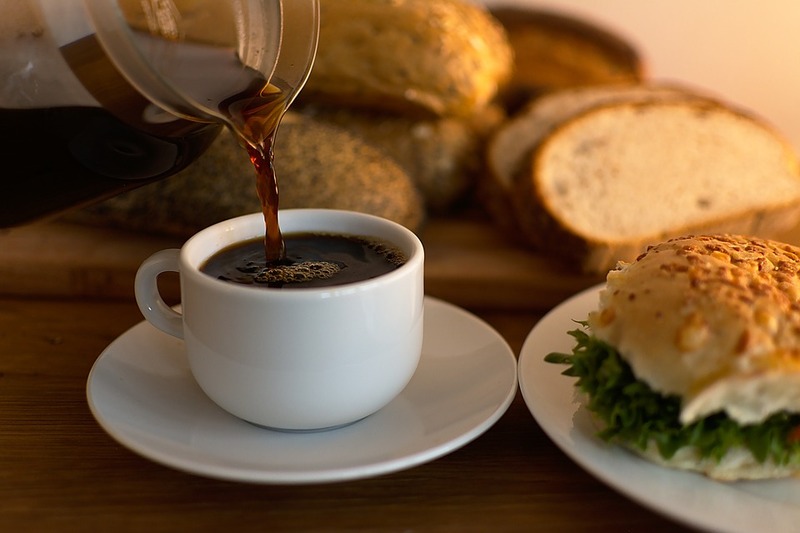 While breakfast may be the most important meal of the day, it is often the hardest to implement. Morning-times tend to be rushed; you overslept, you have to get the kids ready for school and make it to work on time, you can’t find your keys. It’s no wonder why so many people skip it. WHAT SHOULD BREAKFAST CONSIST OF? Adding a lean protein to your breakfast, such as eggs, Greek yogurt or cottage cheese, will keep you feeling fuller longer. It may even hold you over until your lunchbreak at work! Complex carbohydrates, like oatmeal or fruit, provide a slower-releasing energy which will last throughout the day. Healthy fats, such as nuts, nut butters or avocado will not only provide you with extra energy during workout time, but will also promote the fat-burning process. A little caffeine can give you that quick mental alertness that you so desperately need in the mornings! HOW CAN I EAT BREAKFAST EVERYDAY? I hope these tips were beneficial and can help you to add breakfast into your daily routine, inshallah. By now we’ve all made our New Year’s resolutions; laid them out in writing, pondered over them, and talked ourselves into the new and improved person we want to become. That’s great, but that’s only the first step. The next step is actually sticking to those goals rather than becoming among the 40% of individuals who drop out. I’ve decided to create a series dedicated to providing you with information to help you stick to some of the most common New Year’s resolutions. This four-part series will, inshallah, be very short and informative to give you just what you need. Without a doubt the most common resolution is: “I want to eat healthier.” Here’s how you can stick to it. Eating more fruits and veggies will not only provide you with a variety of nutrients but will help to bulk up meals and help you to feel full faster. 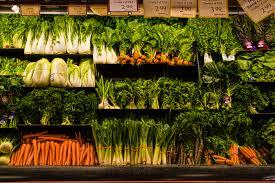 Try adding vegetables to as many meals as possible. Throw some in your eggs at breakfast time, have a side salad at lunch, and roast your favorite vegetables to have with dinner. 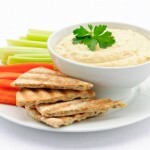 Vegetables can be incorporated into many dishes like soups, stir-fries, eggs and can even make great snacks with some hummus or a low-fat yogurt dip. Fruits are a healthy way to satisfy your sweet tooth without added sugars and preservatives. Shoot for 1-2 servings per day. Whenever you can, make your own foods instead of buying it pre-packaged. Granola can be quite deceiving in stores; it seems healthy but the nutrition label is filled with added sugars. Mix together some rolled oats, nuts and seeds, and a little honey. Throw on a sheet pan and bake it at home. Instead of buying frozen dinners like pizza, make an easy and healthy version of your own. Grab some whole wheat pita bread, top with your favorite veggies, a small handful of low-fat cheese and drizzle with some olive oil, salt and pepper in throw in the oven for a few minutes. Instead of 2 or 3 larger meals a day, try snacking in between and have 5-6 smaller meals. Snacking will help to prevent you from overeating by keeping you satisfied and energized throughout the day. 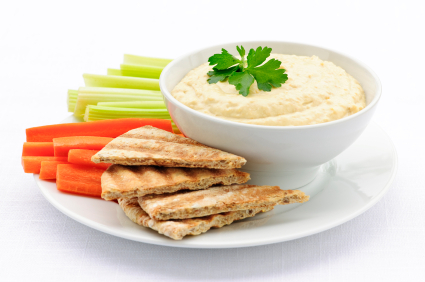 Great snacks include a piece of fruit with a handful of nuts, trail mix, some raw veggies dipped in low-fat yogurt, whole wheat crackers with hummus, or some pretzels with string cheese. Eating healthy is a totally approachable goal, as long as you do it in the right way. Take small steps. Add one more healthy food into your routine each week. Start by adding more fruits and vegetables. Once you feel comfortable with that, start making some of you own foods. Then a week after, start adding healthy snacks in between your meals.